I made it! A few hours left of this Sunday and I am reflecting over the week that passed. I am more at ease this Sunday evening than last week’s. Tomorrow is the first day of my LCHF-strict period and I am looking forward to it. I am prepared and ready and very positive. I will focus on lots of eggs, cheese, fish and chicken because too much red meat makes me a little nauseous at times. I have taken the before photos of myself, back, front and side. They will not be published anywhere before there are after shots to present. A before without an after defeats the purpose. I gave myself a pedicure, all good, but the colour of the varnish is close to postmortem nails in CSI. With a tan the colour will come out better…Walked around in my new sandals from London, a tiny bit big for my skinny feet, but with a bit of summer swelling they will fit perfectly. 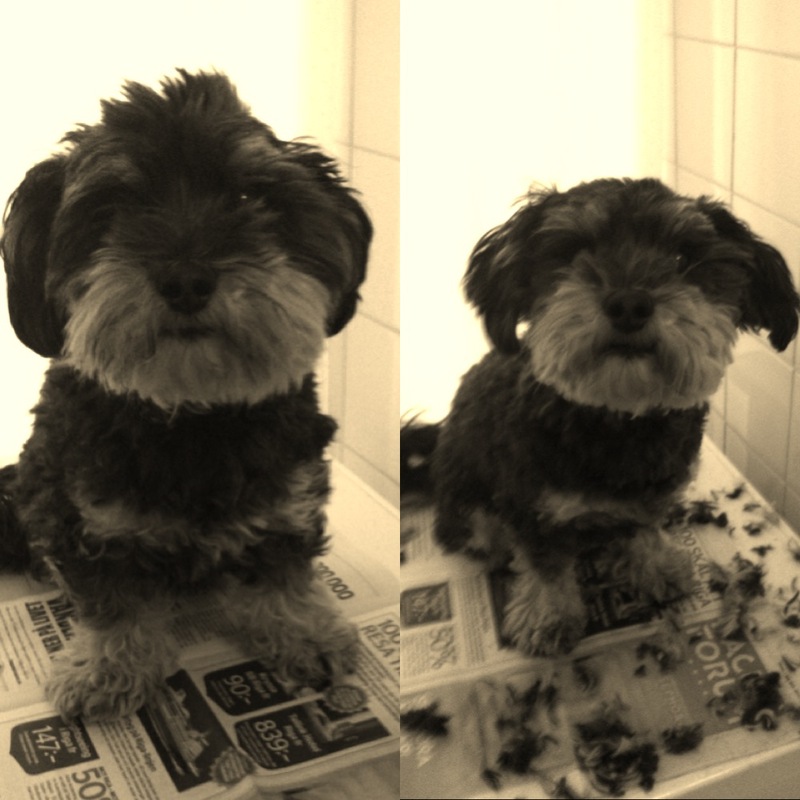 I gave Ove the dog a spring look! You might not see a big difference but it is close to naked. Tomorrow is Monday and that means cycling my 24 k to and from the office, Zumba class during lunch and fun at work. Planning a fun event to Malta will take up most of my day and I need to sit down with budgets. I will be up with the sun cooking for my day so now, good night and sweet dreams y’all! Ove the dog is allready snoring next to me and life is good. ← Four weeks away from paradise!